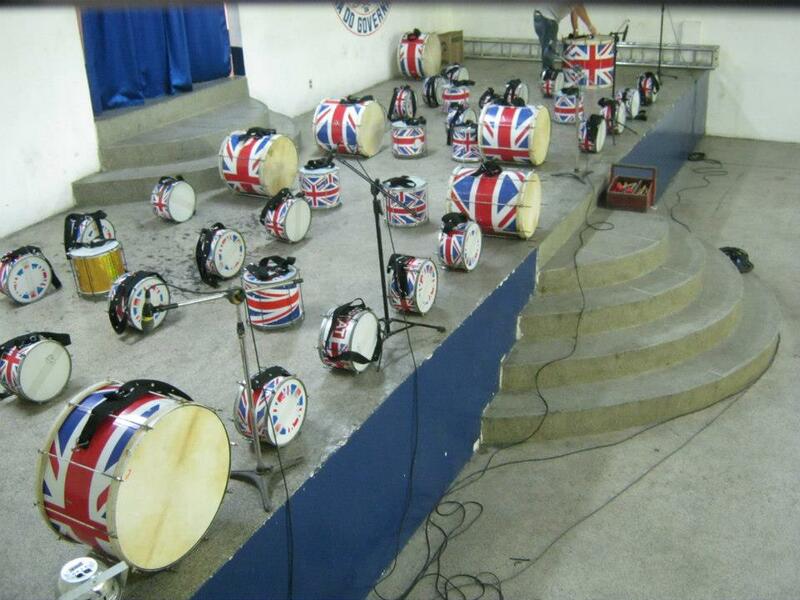 this was the last night for band activities of our rio adventure. following a masterclass with rio’s elite godfather of the bateria (the master of the master, who revolutionised carnival samba arranging) mestre odilon costa, he awarded us 10 points and invited us to open the proceedings at união da ilha the next night. 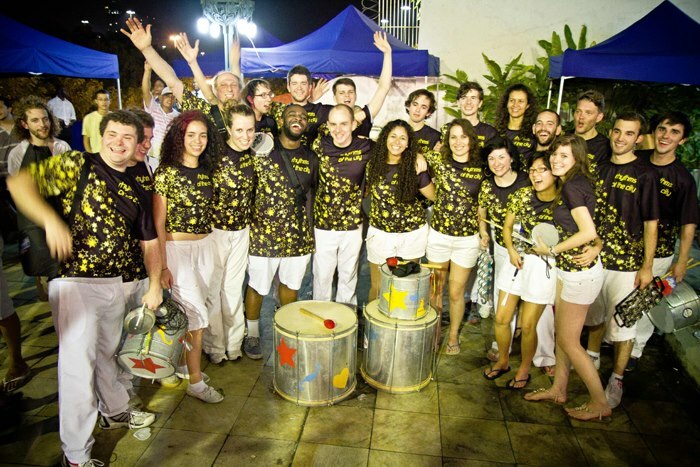 still gobsmacked by the honour, we became the first UK samba group to play their own stand-alone set in a rio samba school. their best-loved sambas of yesteryear have often graced the rotc set, to the point that our first samba medley featured 4 ilha favourites from the 70s and 80s. 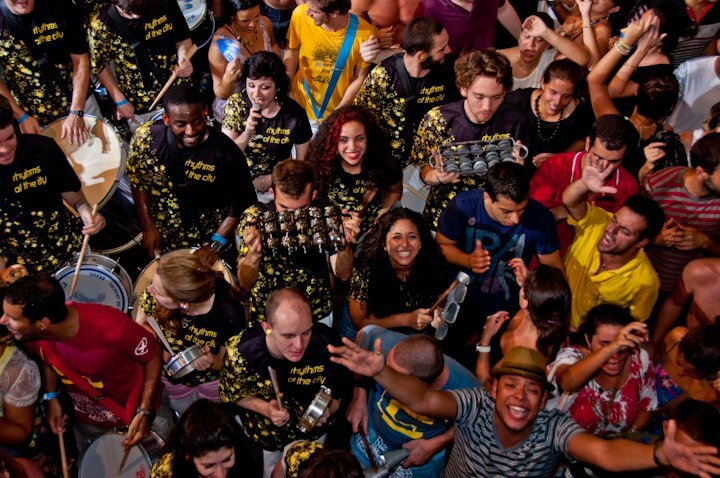 this surely would complete the ‘coals to newcastle’ prophecy – us playing samba to the community of a samba school at their saturday night ball. so what happened? after a batucada overture mishka, gabrielle & noemi slammed it with ivete sangalo’s eu tô vendo, and in a surprise change of style.. thriller (that was then taken up by rio’s MJ bloco ‘electric thriller’), lady marmalade, ain’t no mountain high enough and some more local sambas to round it off… where yazzmin stepped out to amaze the gathered passistas. despite the nervousness of the situation, by the respect shown to us and the number of friends we made that night (playing on with them until the close) it could be considered the icing on the already sweet enough cake that was the band’s first-and-now-probably-not-last brazilian excursion. treat it like your home, they said…so we did. caipihostel are the nicest people in the dodgiest neighbourhood. their place was our base for much of the trip, their front room our rehearsal venue (see pic), their cupboard under the stairs our cupboard under the stairs. to say thanks we made a pre-reveillon (new year) party for them. it was not the biggest place, but probably as much fun as the major venues of lapa that were just around the corner. singers stood on the table to sing. its not often you feature in a cartoon, unless you are famous that is. 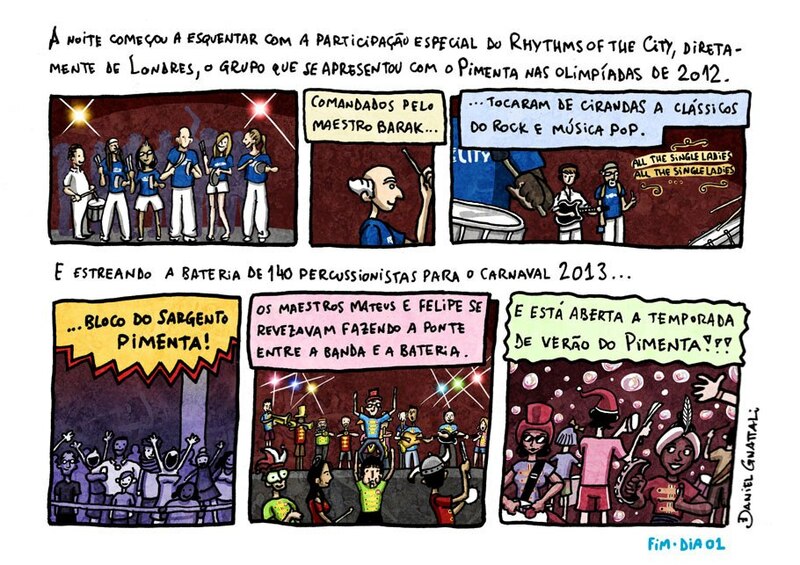 sargento pimenta, rio’s beatles-in-brazilian-rhythm bloco, are famous enough to have (a) a following of 1/2 million in the 2nd year of parading in carnival, (b) their own summer season at fundição progresso lapa’s massive arts centre, and (c) their own cartoon series. they are also (d) super generous sharing their instruments, opportunities, houses, parties with us…. the trip would have been a non-starter without them. this evening was to be the first of 4 for them, their bloco of >100 percussionists are warming up for carnival. inside the venue the band’s platform is surrounded by audience. their crowd already love english language music with brazilian rhythm. bonus. we play, we sing, we dance… the crowd sings, dances, and we finish the night playing with them as we had done on various occasions during london 2012. great success. having been in the sambadrome early in december to catch the serious discipline of rocinha’s bateria, we took up the offer of their leader (and our friend) mestre maurão to rehearse with them. a samba-grilling was going to be the order of the evening. 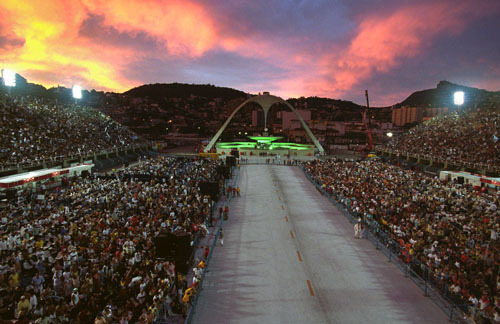 the quadra of the samba school is by the exit of the road tunnel (from rich district gávea) through the hill pictured. 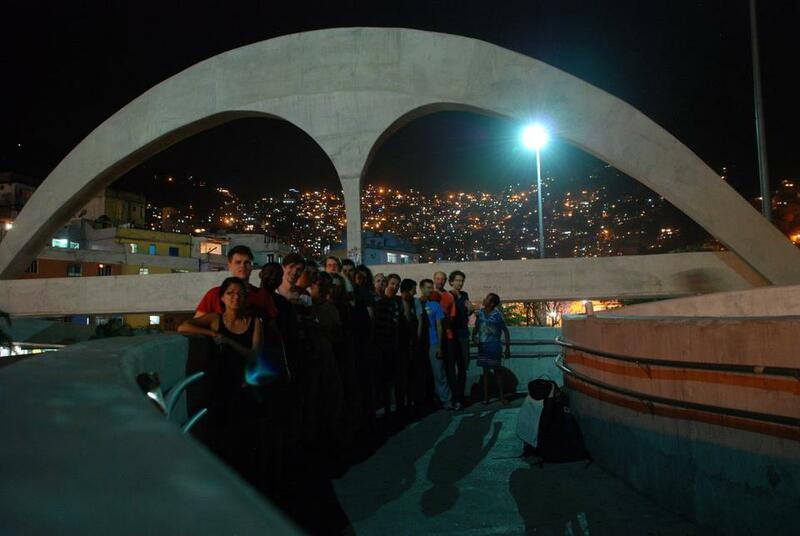 as a contrast rocinha is one of the largest favelas, and as the sambadrome has its oscar niemeyer designed arch (praça da apoteose), so (now) does rocinha… and here are some of us standing on it after the rehearsal. forget christ the redeemer, beaches, sequins and sugar-loaf cablecar… this is the most beautiful sight of the city. 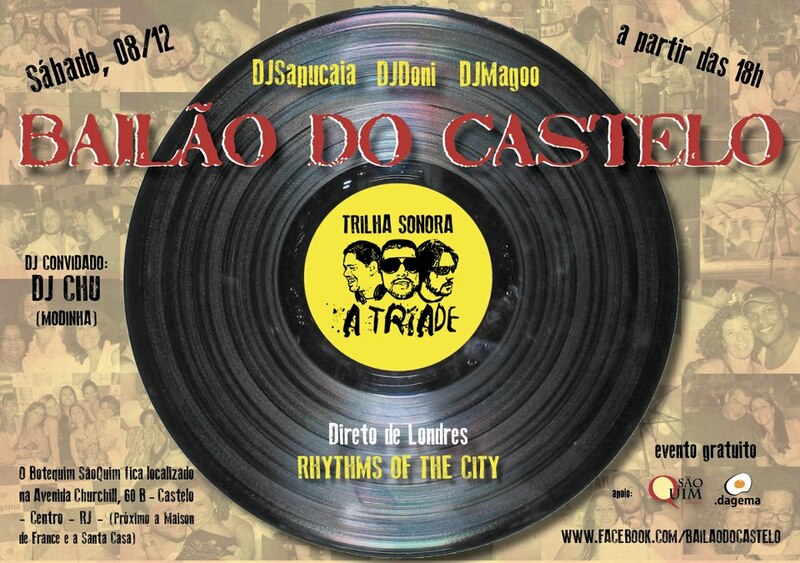 viva rio, NGO working with empowering projects in favelas as well as lobbying to reform drugs laws, did not need to ask us twice to play at their party. our new instant friend (bloco leader and viva rio project manager) joao marcelo had heard us @ baile do castelo the week before and popped the question. with staggered arrival dates from london, this was the first time during the trip we felt like a full band, and it was a chance to test the set and repertoire we would unleash on the bigger gigs later in the month. artists from dona marta favela performed before and after us, and joined in in various ways, impromptu choreography to michael jackson songs, being one… apparently it seems ‘black music’ as they call it (african-american popular music) has a special resonance with a sector of the population that we witnessed again on the last gig of the trip at uniao da ilha. viva rio’s building is in gloria, and appears from the street as colonial-period castle with big roof terrace where the party was, upon which we are pictured below. mishka’s last gig before leaving UK for a while. the new lighting at guanabara does not allow you to see the majesty of the new curtain behind us. guanabara, the brazilian club in covent garden, where we have played for >7 years has done away with live brazilian music on fridays. 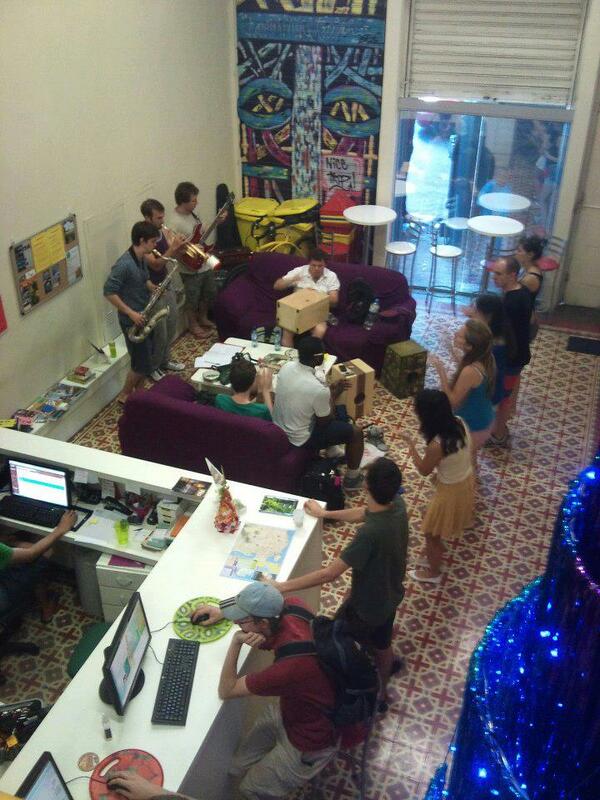 we have drums, it is friday, but soulbloco (one of rotc’s smaller incarnations) plays only motown and soul. even this it seems was too ‘efnic’ for the new owners of the club and this was to be one of our last gigs in this exact format. 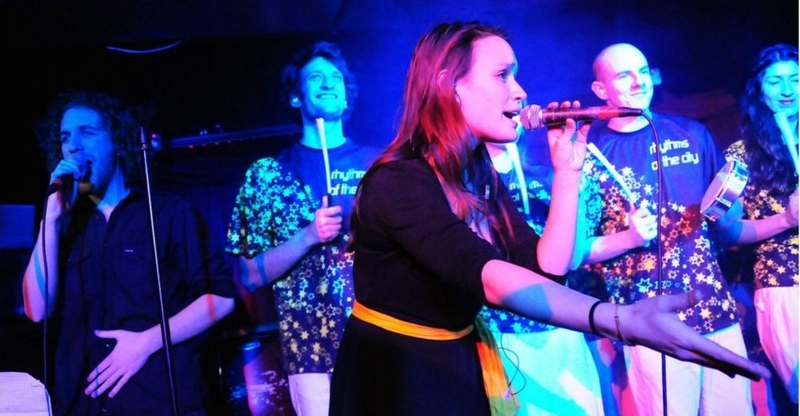 also (*sheds tear*) lead singer mishka adams was to leave london to see the world after this weekend. she chose rio as her first stop, so effectively only left us until later that month, but then we left rio to come back to london (*sheds another tear*). nice of guanabara to do up their curtains. the previous black curtains were a gift from rotc. (*no tear shed*) we cry for loss of musicians but not soft furnishings.